Sometime unsuccessful journeys also remembered long time; the effort we put to get success whereas it turned opposite, which makes you more frustrate; later the failure make you to remember more and more the attempted moments; motivate you again to accept challenges to venture again. Yes this fruitless – unsuccessful journey to Kadalibana trek which is near Srisailam, Andhra Pradesh between 25 – 27th March 2016. Kadalibana is a divine place of AKKAMAHADEVI saint which you need to travel in Krishne river around 16 KMs from Srisailam, trek around 6 – 7 KMs in dense forest. For more details you can google it. The initiative begun by myself and Sudhakar to have a Bullet Bike ride to Srisailam. Later we decided to cover the Kadalibana trek. I googled the information and got the contact details of boat rider who take us across the river. It comes to know that, now the Government of Andhra Pradesh & Telangana made a strict rule not allow any private boats and not to venture without proper permission. The minimum count for permission is not less than 20 members. Then we changed the plan, invited my younger brother Mahadev & cousin Veeresh. Briefed about our journey; happily they agreed and taken the ownership to get the forest permission and make team size 20. Parallel spoke to my friends at Bengaluru, the team was ready with 7 members from here & rest from Bidar and Hyderabad. 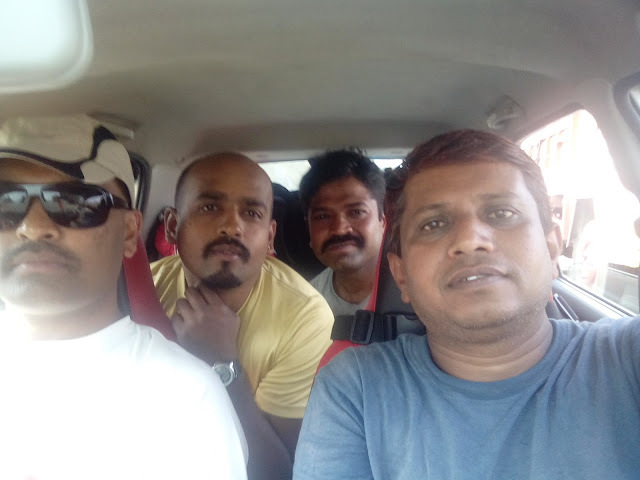 We started our journey in Sudhakar Alto Maruti Car from Kolar at 5.00 am. Suresh, Shanthi Prasad & Sudhakar reached my home in the previous night from Bengaluru. Later Sreeharsha and team joined us at Madanapalli. The morning weather was pleasant soon we hit to Raichoti. Decided to finish the breakfast nearby roadside hotel. Delicious Poori-Idli-Wade filled our stomach and continued the journey. 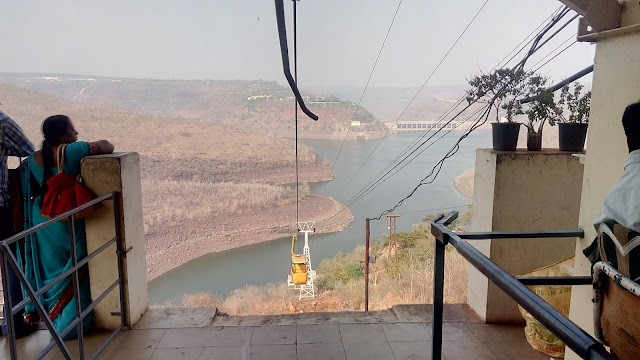 We did not feel tiered much, comfortably reached the Srisailam around 3pm. I had been in constant touch with Bidar-Hyderabad team about journey. Finished our lunch in the hotel and relaxed for sometimes. We were not sure about our camping tonight, depended on the Bidar team. It knew they started late from native, so expected to arrive not before 10pm. We decided to finish the Sri Mallikarjuna Jyotirlinga darshana. Queue was not much, it took hardly one hour to finish the Darshana. Parked our cars in the lot, had relaxed round around temple premises. 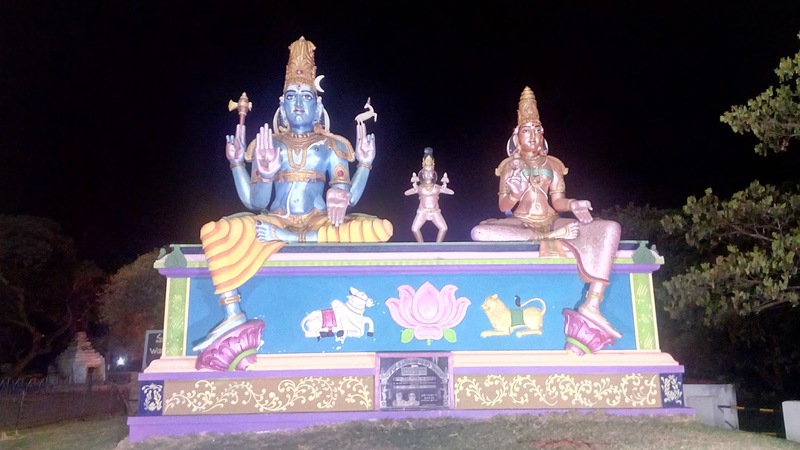 The team reached the 10pm to Srisailam. Happy to see many old close friends in the team. I was so happy to meet all of them. Eranath, Pradeep Zanjeere, Anil Swamy whom I met very long time back. Now the challenge to get the night halt place, they also blank about the stay. We found accommodation in Dattagiri Ashrama, booked two rooms. They brought home made food, we all had the dinner and discussed about tomorrow journey. There was a challenge for us, it is clearly understood that without forest permission we can’t attempt to proceed Kadalibana. 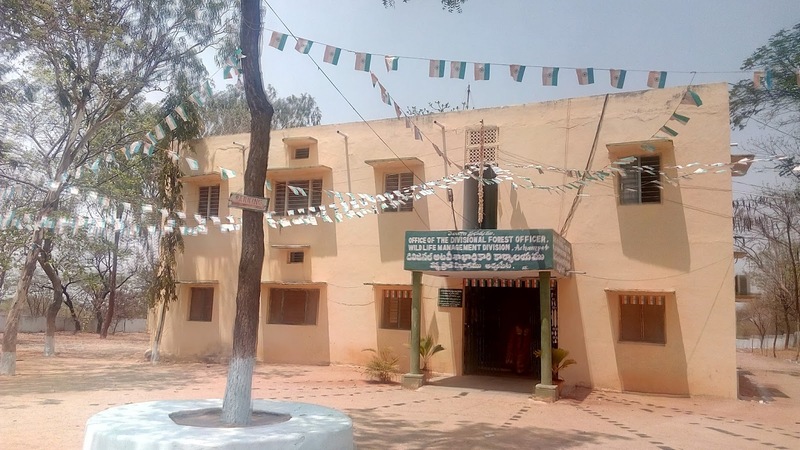 We have to reach Achampet forest office and get the permission paying the government fees. 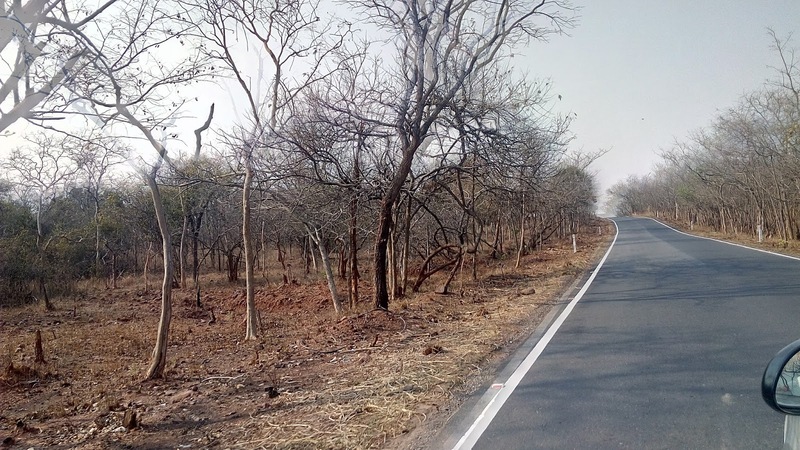 The Achampet is around 100+ KMs away from Srisailam, again it was challenging to cover 200+ KMs up and down. Decided to go 4 members in Car in the early morning and get the permission at the earliest. Few of us slept outside the warranda and other inside two rooms. Night was chilled, mind was rolling down about tomorrow consequences. I could not sleep properly, woke up so early at 5 am. Finished the morning core job and hurry other to get ready. I, Sudhakar, Pradeep, Mahadev & Veeresh left to Achampet around 6 am. We reached around 8 am, the office gate was still close. Parked our car and enquired about the timings. One of the staff said, the officials will reach at 10 – 10.30 am post that only the things will move. Searched a descent hotel for breakfast. I feel, this was one of the most delicious homemade breakfast had in my life. Jolada Rotti, different curry, Malt Liquid, pickle etc. The official one by one reaching to office. I ever had such a worst experience with Forest Office yet, there was no manner and curtsy to attend the visitors. One of the Attender acting as if an Officer, there was openly demanding the bribe. By great difficulty and begging for the permission to the Officials, paying Rs.2000/- bribe and fees got permission for the trek. 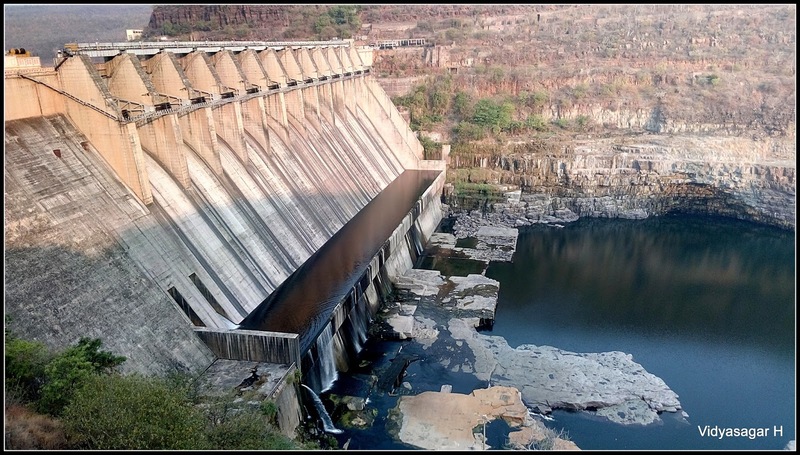 The team at Srisailam constant touch with us about the status, we asked them to be ready to start the journey. There was one more challenge for us, the last boat to Kadalibana will leave at 2.30 pm, and we have to reach before that to start the trek. When we received the permission the time was 1.30pm. It was not so easy us to cover 100+ in an hour. Reached the Srisailam at 3.30pm, again we have to undergo some formalities. Again the time to beg the officials, by great difficulties they agreed to take us. We have to go through cable car to down near the river where we have to board the boats. When the time is very bad, the things always go wrong!!!! We were very unlucky and destiny was decided not to allow the trek. When we boarded the cable car suddenly stopped the engine. The engine broke down, they tried and tried, it could not get start. We all were very upset and complained to our destiny. The officials asked us to vacate the place since it was non-repairable condition. No one was happy, our all efforts in vain. Very upset and sad moments to all of us. With pain hearted all gathered near by garden. We had fun filled activities, my friend Eranath sung Folk songs. I and other went to official to requesting allow us tomorrow early morning so that same day we can come back to Srisailam. Initial they refused, however agreed and asked us to come at 8 am. We were happy for that moment, shared the updates to all friends. The tomorrow hope made us little joy on our face. We decided to camp in somewhere remote place and enjoy the night out. Got a wonderful place nearby and dumped our luggage. The evening was pleasant, all were happy, had a small walk inside the forest. Homemade snacks with masti spent good fun time. We prepared the Puliyogare for the dinner, everyone finished the dinner and relaxed for sometimes. The camping place was really awesome till midnight. Suddenly we heard a big shout, the monkeys were ready to attack on us. Surprise to see Monkeys were active in the midnight, few of us awoke to protect our luggage and other things. The night was painful indeed. We gave strict instruction all of them to be ready by 7.30 am. Finished our breakfast and rushed towards the cable car departure venue. The one more disappointment message was ready!!! Idiot officer mentioned “We asked you all to be present here at 7.00 am and you are late. We can’t take you now”. The god & destiny again was not in our favor, we argued, requested, begged!! Nothing was changed their mind and intention. With pain heart we all decided to turn back to our destination. I was completely disturbed and sad, after so much effort the venture was unsuccessful. We all decided to do this trek again sometime. We were ready for alternate plan to visit the Akkamahadevi caves. 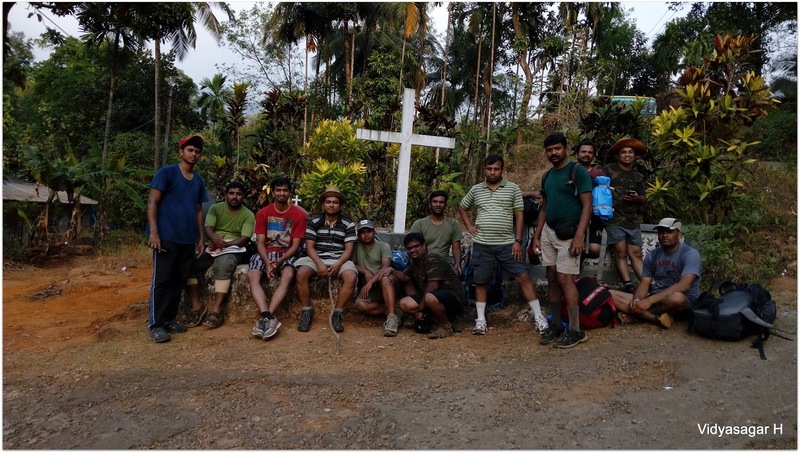 The journey is similar the Kadalibana, except further trek of 6KMs in dense forest. We paid the ferry fees and boarded for memorable journey. The 16KMs long journey in the Krishne river was thrilling, both the side the cliff make you more scary. The ferry was filled with people, after an hour reached the Akkamahadevi caves. Journey was really worthy, spent good time with photograph and turned back to Srisailam. Now the time was adieu to team and head towards namma Bengaluru. The target to reach Bengaluru max by 11pm, continued our journey. 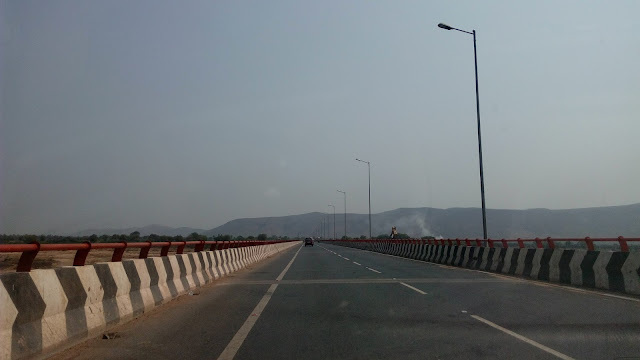 Back journey decided to go through Karnool, where we can enjoy the highway ride and also reach soon to Bengaluru. Till the Karnool road condition was very bad, the ghat narrow road made our journey slow. Reached the Karnool at 7pm, decided to finish the early dinner and continue. 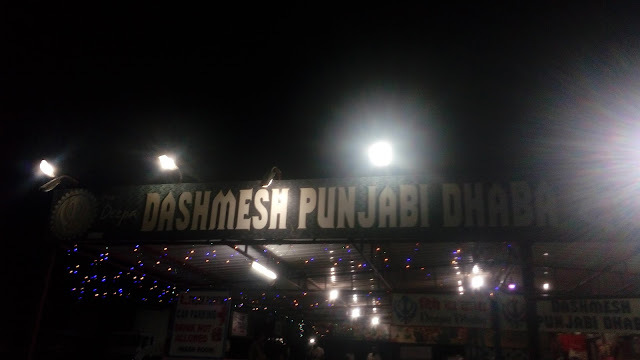 We found descend Punjabi Daba where we had yummy dinner. The highway journey leaded to Bengaluru, reached in the midnight 1 am. 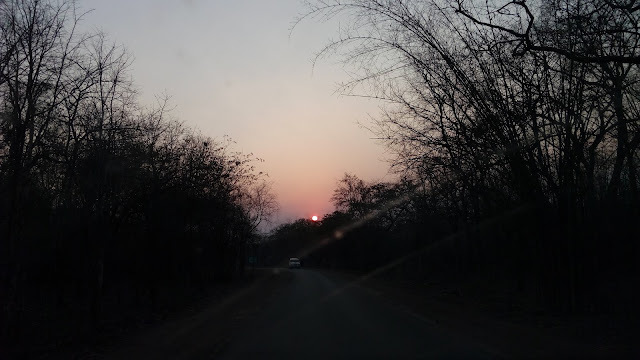 Of course, the Kadalibana trek was fruitless, however the epic journey, place, fun, effort to get permission, meeting with new and old friends, three long days road trip all are precious and memorable one. I definitely once again arrange the Kadalibana trek and venture without fail. In my travel diary few places are visited repeatedly, the reason is mother nature and beauty of the place. Nature will never disappoint you, the season make you difference of the experience of that particular place. Yes!!! 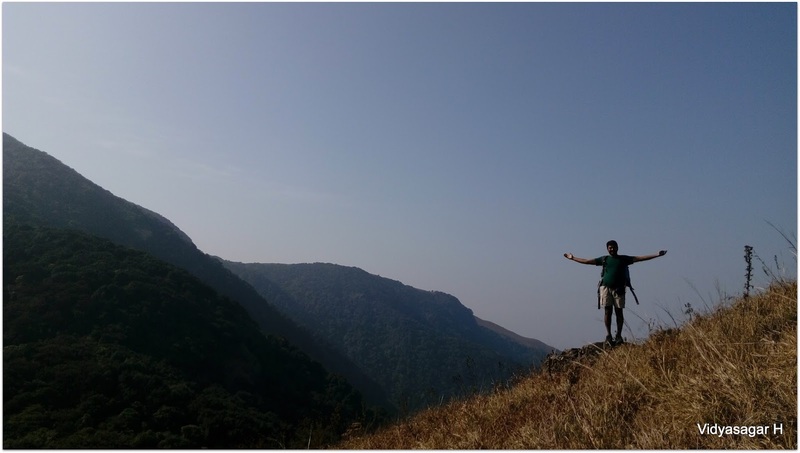 Nishani Motte is the one where revisited on 12 – 13th March 2015 with like minded trek friends. 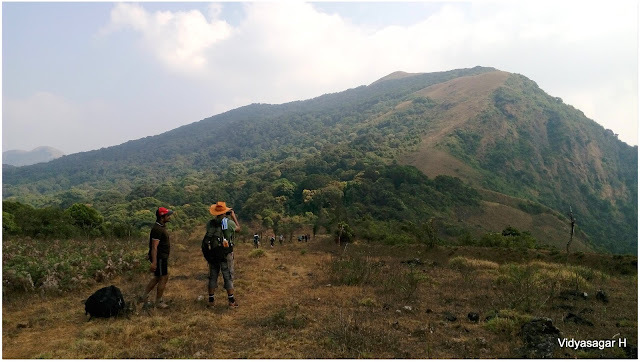 In the last visit of Nishani trek we wanted to cover Kurudi, however it was not successful since the peak monsoon. We dropped the plan considering two facts; the first one was long stretch around 20+ KMs in the dense leeches infected area and secondly we need to cross few streams which was very challenging one. This time especially wanted to cover Kurudi and exit at Kerala. The forest permission and other formalities done by my best buddy Shanthi Prasad and the team ready to conquer Nishani Motte. 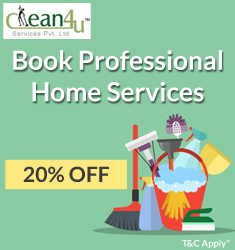 The team was ready with 12 friends and booked Tempo Travel [TT]. Reached very early morning to Bhagamandala, finished the morning core job at public toilet. Many of us brought homemade food for breakfast & lunch. We all sat roundly in the forest office premises finished yummy breakfast. The forest official were reached around 8.30 am, paid the fees and completed other formalities. Trek starting point is Talakaveri which is around 8 KMs from Bhagamandala. We all again boarded to our TT and reached Talakaveri. 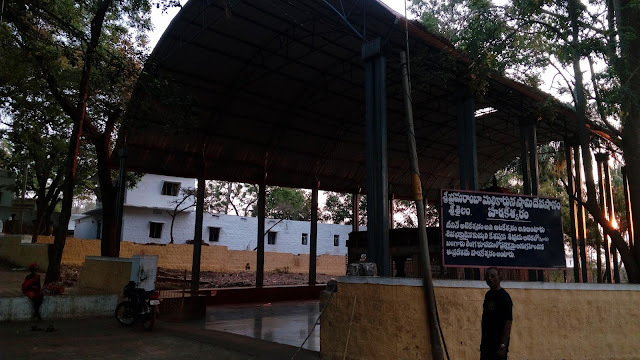 Many of the friends were first time visit to this place, given 10 minutes time to finish the Kaveri darshana. The brought grocery items were equally distributed among all of us. Team was ready to conquer the Nishani Motte. This time very friendly and cool guard Jayakumar joined with us. Initial path on jeep track, soon we entered in the forest range. On the way we had fund of photography. The March summer sun was hitting hard to us, enjoying the valley reached the lunch point. Finished our lunch and relaxed sometime in the shade. I was recalling memories of the previous trek, where we all struggled lot with monsoon rain, leeches and wind. This time except the sun itch nothing was challenging, the best part was the valley visible. Enjoying the trail we soon reached the most difficult stretch. 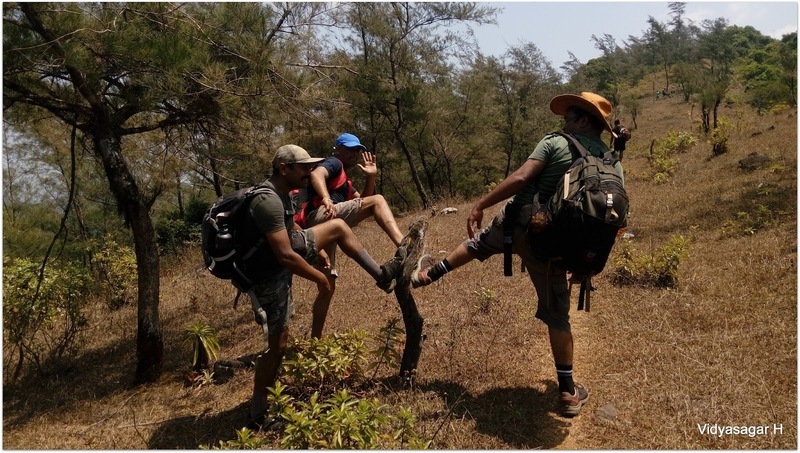 Nishani trek the last stretch will squeeze our energy. We were enough lucky, when reached this point sun was completely hided in clouds. The atmosphere got completely change, now the cool breeze welcomed us. Taking multiple breaks we all reached the Nishani peak. The joy of reaching the top was not explained in the words. Clouds were passing through us, cool wind kissing our bodies, we all busy in photography. Who can imagine, having a yummy Bhelpuri on the top of the Nishani, it was unbelievable. 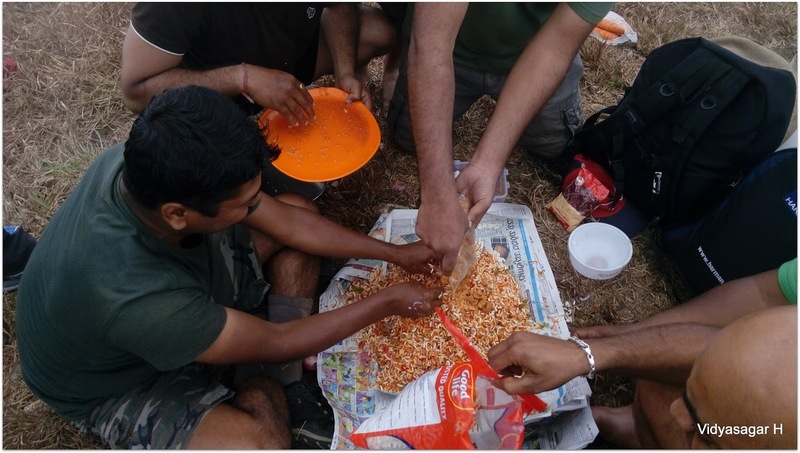 We prepared the Bhelpuri and enjoyed it with beautiful weather. After spending good time, moved towards the Nishani Anti Poaching Camp [APC] for night halt. Descending was not took more time. Smiling two Forest Guards welcomed us. Unloaded our luggage, hot water ready for refreshment. One by one all took hot water bath, the dinner preparation team was busy. This time Chandru was lead, we all assisted him. Finished the yummy dinner and spent some good time in chitchat. Few of us slept outside the APC. The morning was pleasant, I slept outside the APC. Everyone was busy in photography and morning core job. Breakfast preparation team was engage in their work. We had lot of fun during the breakfast. Packed our luggage and ready to venture a long and long journey of Kurudi. Guide was suggested to leave as early possible else it was tough to cover up. The time was 8 am, we started our journey. The valley was so beautiful in the morning, taking many photographs continued our journey. The Nishani peak is visible again from other side. Soon we entered in the dense forest. Indeed, the journey is not so easy in the monsoon. Sun rays struggling to reach the earth in this range, we can imagine about the dense of forest. Taking multiple breaks reached a small stream. The humidity was more, we all were sweating very badly. Got refreshed in the stream and decided to take a break for Lunch. Finished the packed lunch and relaxed for some time. The journey again it was continued, there was no end. Walking on the shattered leaf is really difficult one, soon we entered Kerala. Taking multiple breaks reached the last stretch. We found so beautiful stream which was very essential for the tiered bodies. One by one jumped into water. Spent good time in playing and photography. After the cool refreshment continued journey. Reached the small village where we hired a TT to drop us at Kerala – Karnataka border. Considering the cost effectiveness, decided to hire the Kerala TT to drop us at border. We all boarded the TT continued our journey towards Border. Our TT was waiting on the border, board the vehicle headed towards Bengaluru. Finished the dinner at Madikeri and reached namma Bengaluru around 4am. The trek was really memorable one for long stretch. 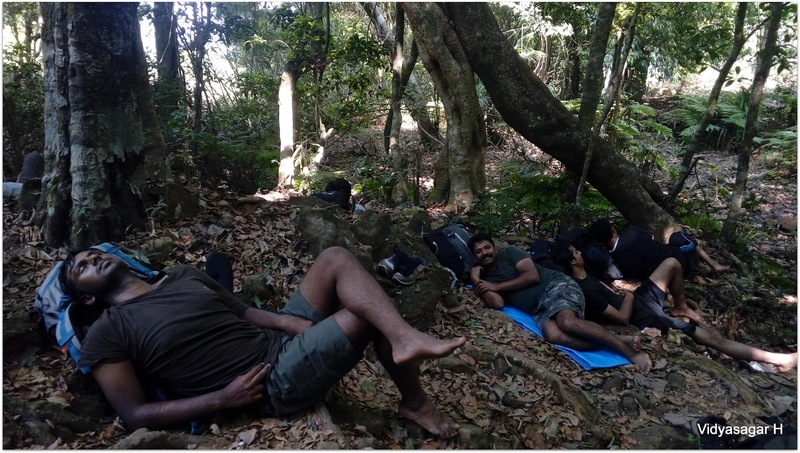 Overall trek was around 36KMs in two days.